We asked London’s most influential vegans to recommend us their favourite vegan restaurants and cafés. Here are the vegan restaurants they think you should be trying in 2019. Four locations across London, find your nearest one here.
? Upgrade your cooking game! The Avenue Cookery School offers cooking classes in creating sensational sushi and perfect pasta to help inspire your latest creations at home. Click the links to find out more. ? 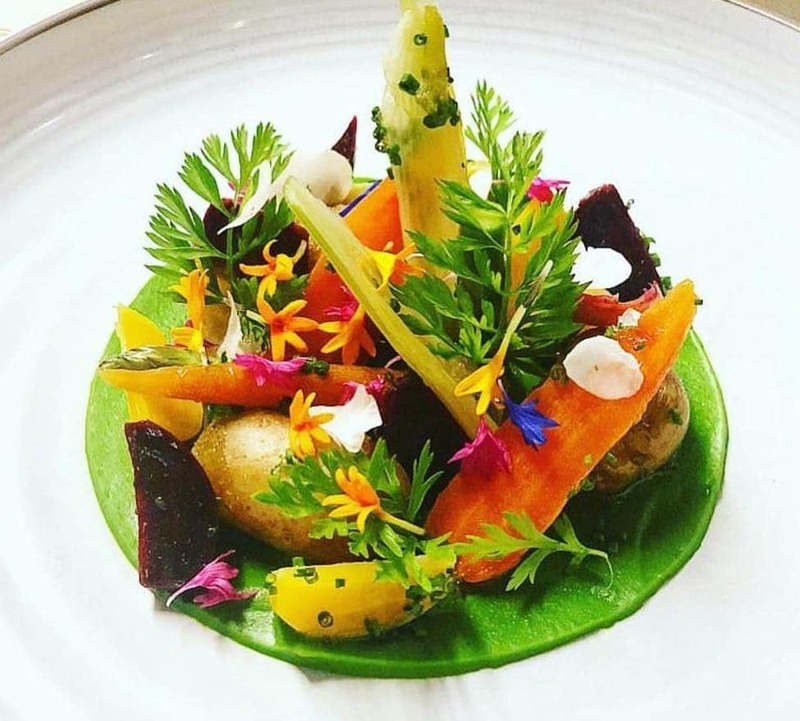 This luxurious, Michelin-starred restaurant near Goodge Street is highly-regarded for its veggie-friendly haute cuisine. They offer both vegetarian and vegan five-course tasting menus, which are perfect for a fancy fine-dining date with the vegan in your life! This West Kensington joint was on our radar even before Vegan London kindly recommended it, and for good reason. Whilst everything is low-fat, low-salt, and non-GM, they don’t skimp on flavour. Prepare to waddle out of here, particularly if you choose the all-you-can-eat lunchtime buffet; more vegan food than you could possibly manage, all for £10. 222 North End Road, West Kensington, W14 9NU. Nearest station is West Brompton. Comptoir V aims to appeal to vegans and meat-eaters alike, and it’s fair to say the menu has us pretty much hooked. The food draws influences from all over the world, and features signature dishes with Middle Eastern and North African origins. Quite simply, Comptoir V is one of the best reasons to head to Kensal Green we’ve yet heard. 1 Keslake Mansions, 12 Station Terrace, NW10 5RU. Nearest station is Kensal Green. An ascetic veggie and vegan canteen within the Peckham Levels complex, Wildflower offers a smashing ‘vegan full English’, tons of appetizing brunch, lunch and dinner options, and a six-course vegan tasting menu for just £25pp. Wild, man, wild. Level 5, Peckham Levels, 95a Rye Ln, SE15 4ST. 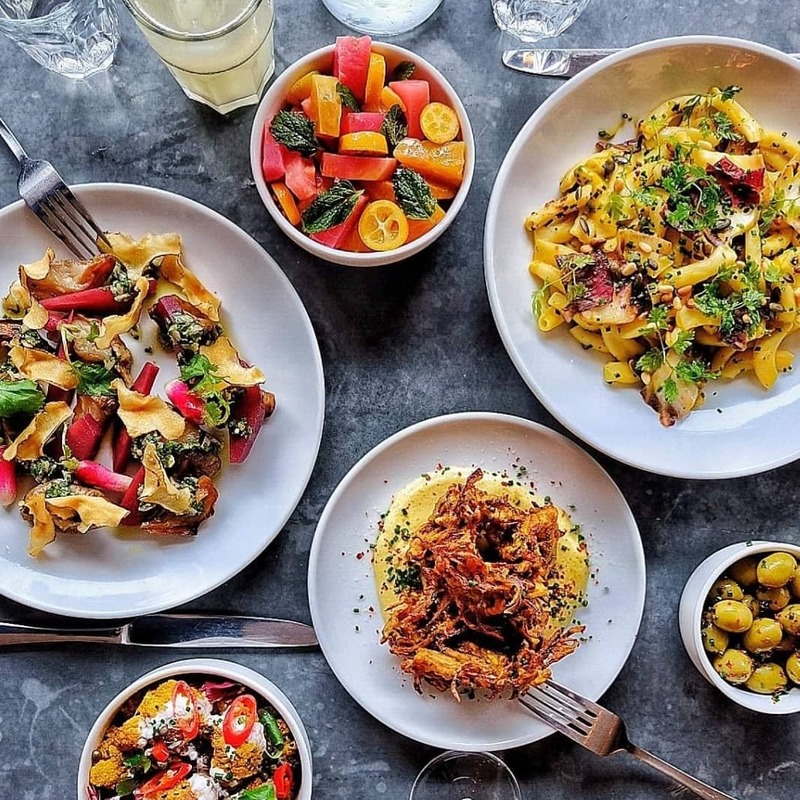 Brought to our attention by Secret London’s resident vegan Asli, Fed By Water is a modern Italian restaurant specialising in clean eating. Their commitment runs so deep that they use only purified water during the cooking process. So when you leave this place, you’ll be extra healthy – and stuffed full of delicious pasta, of course. 64 Kingsland High St, Dalston, E8 2LX. Nearest station is Dalston Kingsland. Another recommendation from inside Secret London HQ, this is where we’re heading next time we fancy a curry. Rasa serves up incredible vegetarian and vegan dishes from southern India, deservedly winning plaudits for doing so. A wide selection of curries forms the basis of the menu, and the battered banana boli with a peanut and ginger dip makes for a delicious starter. You won’t be able to walk past without being intrigued – particularly since the exterior is a vibrant shade of pink. They have two restaurants, but the Stoke Newington one is more vegan-friendly. Find it at 55 Stoke Newington Church St, N16 0AR. Nearest station is Stoke Newington. 243 Pavilion Road, Chelsea, SW1X 0BP. Nearest station is Sloane Square. 104 Brick Lane, E1 6RL. Nearest station is Shoreditch High Street. Out in Bethnal Green, you’ll find the community and charity hub known as St Margaret’s House. Here, you can do yoga or take an art class, but we’d recommend heading straight to the cafe. Start with breakfast – either the vegan full English or a stack of American-style pancakes should do nicely – and watch it get better from there. Absolutely everything here is vegan, so kiss a not-so-fond goodbye to the days of going off-menu! St. Margaret’s House, 21 Old Ford Road, Bethnal Green, E2 9PL. Nearest station is Bethnal Green. Emmeline Hundleby, who runs vegan parenting website Little V Big V, sang the praises of Cafe Van Gogh, reputed to have the best vegan Sunday roast in south London. Whilst that may be true, our eyes went straight to the jerk plantain and never really left. It’s just one of several top-notch vegan dishes you’ll on the menu, and since the profits are reinvested into programmes for the local community, eating here is a deliciously good deed. 88 Brixton Road, SW9 6BE. Nearest station is Oval. 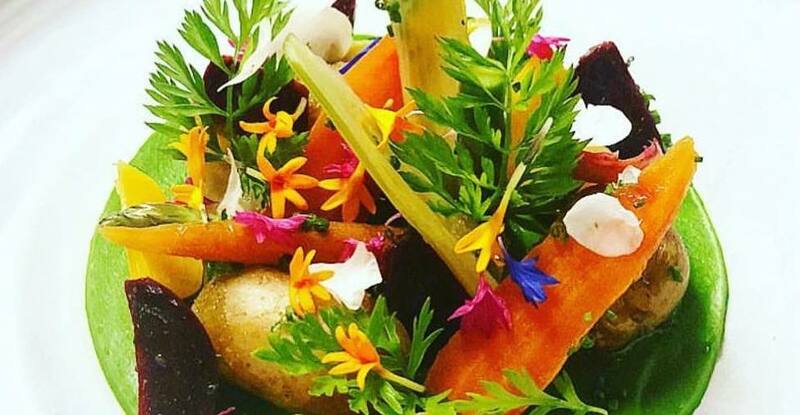 A recent addition to the capital’s crop of vegan restaurants, Genesis is a plant-powered trot across the globe. Encompassing cuisines as disparate as Thai, American, and Middle Eastern, this place has been winning plaudits from vegans and carnivores alike. It doesn’t hurt that it’s a fetching shade of millennial pink, either. Find out more here. 144 Commercial Street, Shoreditch, E1 6NU. Nearest station is Shoreditch High Street. Looking for something quicker? 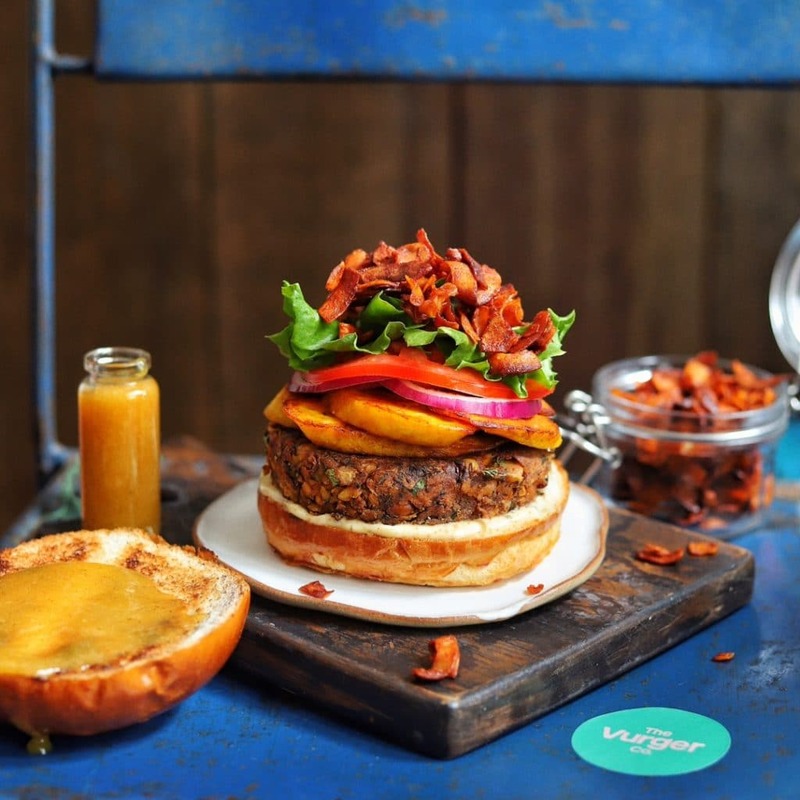 We also got recommendations for vegan restaurants specialising in fast food! Fried chicken without the guilt? We like the way Hannah Sierp‘s mind works, just as much as we like Temple of Seitan. This palace of vegan junk food is a great plant-based treat any time of day, but if you add chips and gravy, it becomes the perfect end-of-night food for vegans on the town. Temple of Hackney is at 10 Morning Lane, E9 6NA, near Hackney Central, and 103a Camley Street, N1C 4PF, between St. Pancras and Mornington Crescent. Boxpark Shoreditch is at 2-10 Bethnal Green Road, E1 6GY, and the nearest station is Shoreditch High Street. You’ll find Boxpark Croydon at 99 George Street, CR0 1LD, and the nearest station is East Croydon. 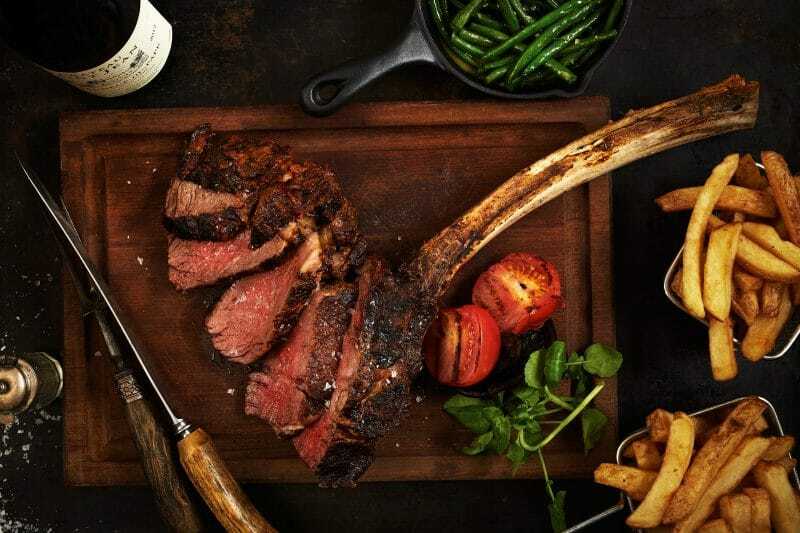 Any carnivores starting to regret their Veganuary journey should drop everything and head here. Though you won’t find any meat, there’s nothing quite like a hearty pie to satisfy your hunger, and Young Vegans’ pie and mash has quickly become a staple of Camden Market. They open seven days a week, so you can fit a cheeky pie week in the midst of Veganuary. 60 Camden Lock Place, NW1 8AF. Nearest station is Camden Town. You’ll need dessert to top off all that planty goodness, and Vegan Coach Karen thinks she’s found the best spot. La Gelatiera in Covent Garden serves up scoops of amazing gelato, including some seriously tempting vegan flavours. Dark chocolate and chilli? We’ll be having some of that, please and thank you. The original branch is in Covent Garden, at 27 New Row, WC2N 4LA (nearest station is Leicester Square). They’ve opened a new shop at 1 West Park Walk, East Village, Stratford, E20 1DH, and the nearest station is Stratford International. 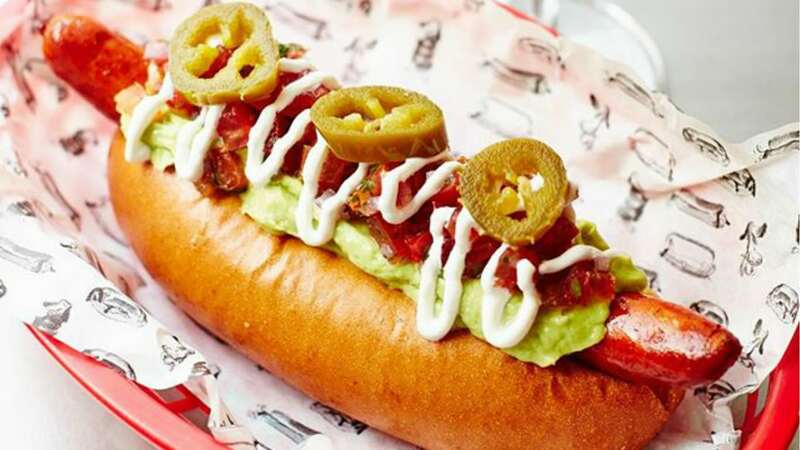 Since we first made this list, London’s slate of vegan restaurants has been bolstered by the arrival of the USA’s most hyped vegan chain. 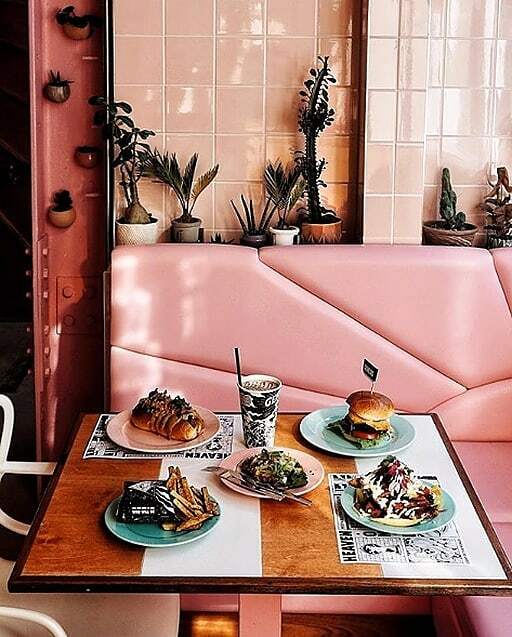 Amongst the Insta-worthy decors, you’ll find some of London’s best vegan fast food, including their famous Guac Burger. by Chloe’s arrival in the UK has also led to the creation of a British menu, featuring classics like fish and chips, and shepherds pie, with a vegan twist. Their first spot arrived in Covent Garden, at 34-43 Russell Street, WC2B 5HA (nearest station is Covent Garden). Recently, they’ve opened their Tower Bridge location, at 6 Duchess Walk, SE1 2SD, and the nearest stations are London Bridge and Tower Hill. Ok, so I’m not a vegan, but I ate here and I’ll be the one recommending it to you. 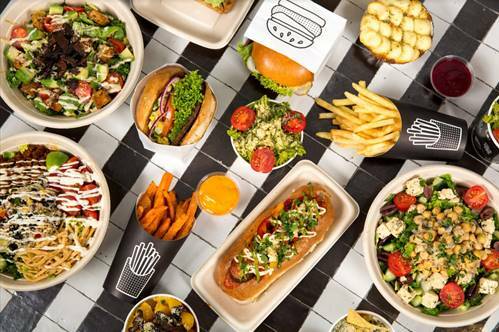 Previously a pop-up, The Vurger Co secured funding for a permanent spot, and you’ll be celebrating too once you’ve had a taste of their vegan burgers. You can’t go wrong with The Classic, although The Holy Habanero will do nicely for those who can handle the spice. Add a side of mac and cheese, and one of their sinfully good mylkshakes, and you’ve got yourself one fabulous feast. 6 Richmix Square, Cygnet Street, Shoreditch, E1 6LD. Nearest station is Shoreditch High Street. The Great British chippy isn’t a regular vegan haunt, but Sutton and Sons are out to change that. Their Hackney spot reopened without a scrap of meat in sight, and the result is one of the city’s most hyped vegan restaurants. 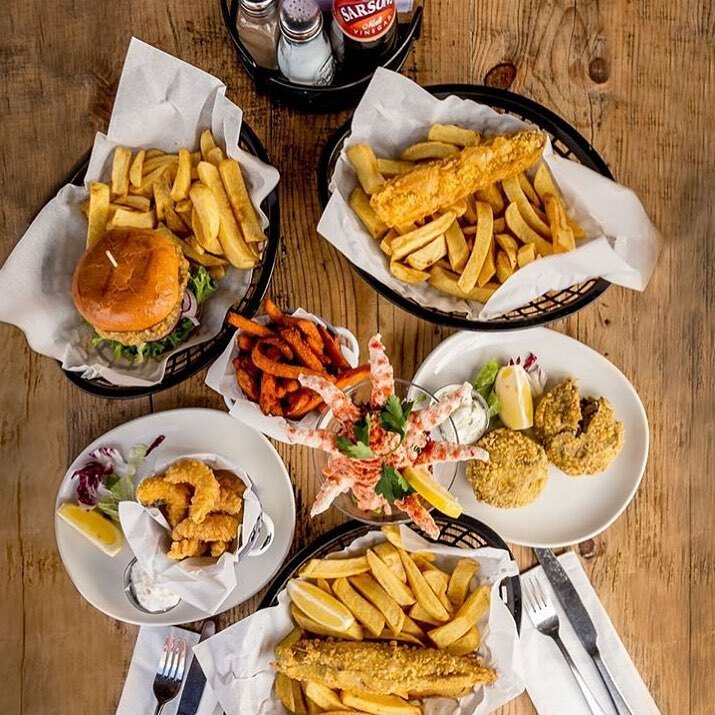 Fish and chips, scampi, and prawn cocktails are available, and they’re incredibly convincing. Read all about it here. 218 Graham Road, Hackney, E8 1BP. Nearest station is Hackney Central. Got room for more vegan goodness? Scoff down some of London’s most indulgent vegan foods to really up your Veganuary game. 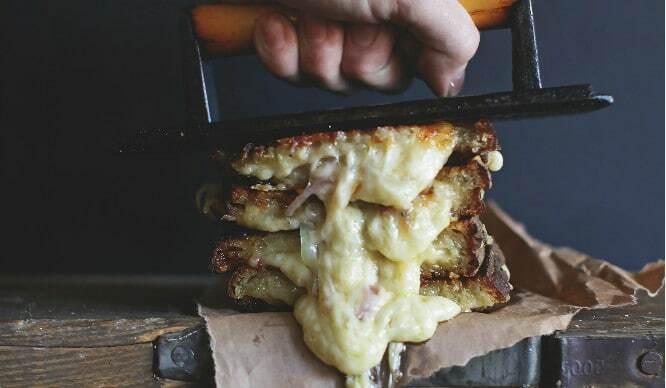 Take A Sneaky Peek At London’s First Cheese Bar This Thursday!